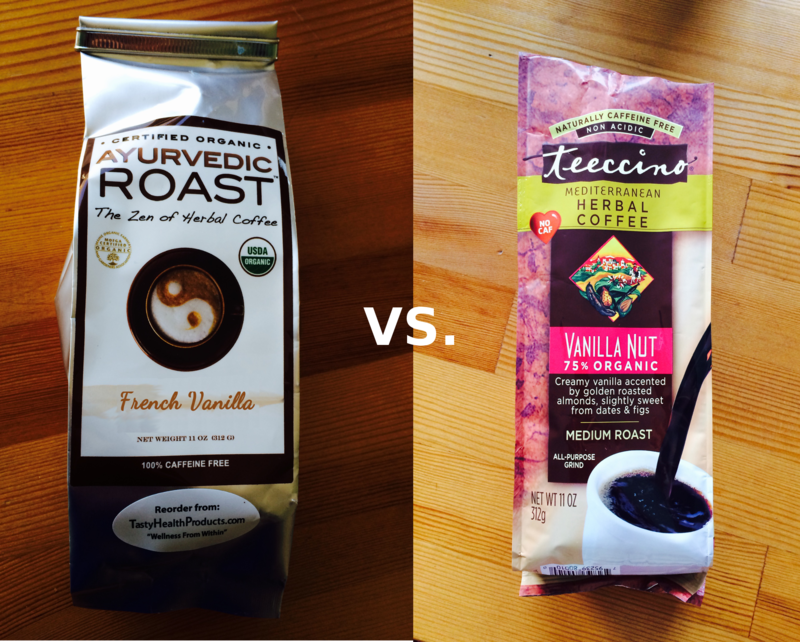 Ayurvedic Roast™ vs. Teeccino®: A Taste-Off!! For those of you who tuned in last week, you read my glowing review of the organic herbal coffee alternative, Ayurvedic Roast™. And I mentioned that I had, in the past, tried Teeccino®, the reigning “champ” so to speak in the world of coffee alternatives. Now, as in the world of sports, you can only remain a champ so long as someone better doesn’t come along and take the title from you. 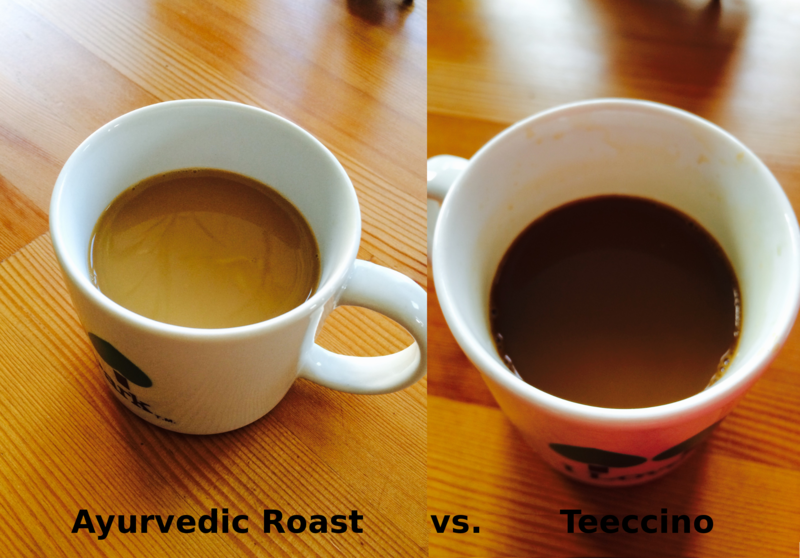 I mentioned that I read online that “a blind taste test was conducted comparing Ayurvedic Roast™ with the top three coffee substitutes on the market (of which I’m certain Teeccino was included). Over 200 people tasted all four herbal coffees, with Ayurvedic Roast™ being chosen as the best tasting by the highest percentage of participants.” But since it had been years since I’d tried Teeccino, I thought it was only fair to do a current taste-off now that I’d discovered a viable contender. Organic roasted barley, organic roasted rye, organic roasted chicory, organic ashwagandha, organic shatavari, organic brahmi, organic french vanilla flavor. Roasted organic carob, organic barley, organic chicory, dates, almonds, organic dates, natural vanilla extract, natural nut flavor, figs. 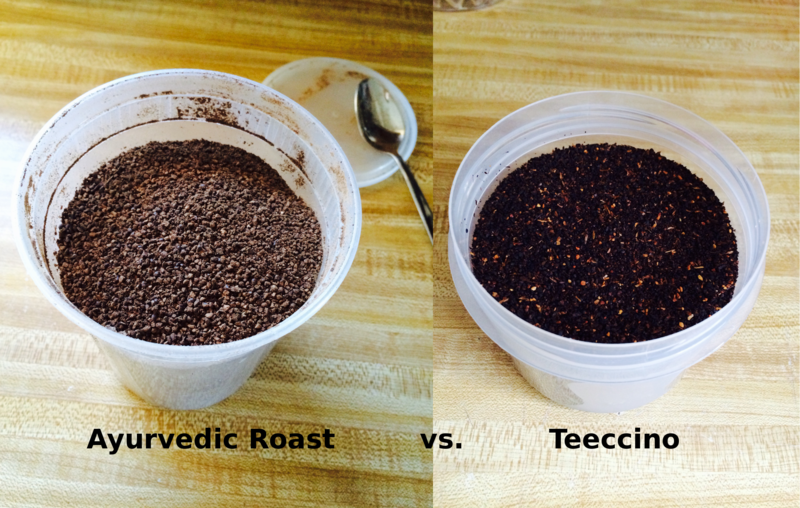 I found the Ayurvedic Roast to be visually more comparable to coffee, whereas the Teeccino looked a bit like potting soil. As for the smell test, Ayurvedic Roast was the winner yet again. It was again more “coffee-like” with a milder, more natural vanilla smell. In contrast, the Teeccino had an artificial alcohol-like smell that I did not find very appealing. But, the most important thing to me (and I’d imagine, to the average consumer) is taste. So, just as I had done for last week’s review of the Roast, I brewed the grinds using my drip coffee maker and about 1 rounded tsp of grinds per cup. At this stage of the experiment, the two brews were about the same color and looked similar when poured straight from the pot into a cup. While the Teeccino was less visually appealing at this point, I still tried to be optimistic and closed my eyes for a taste test….And as I expected, I was very underwhelmed. Actually, I couldn’t even finish the whole cup. I couldn’t put my finger on what it was I didn’t like about it, but the words “chemical-y” and “artificial” came to mind. The Winner? 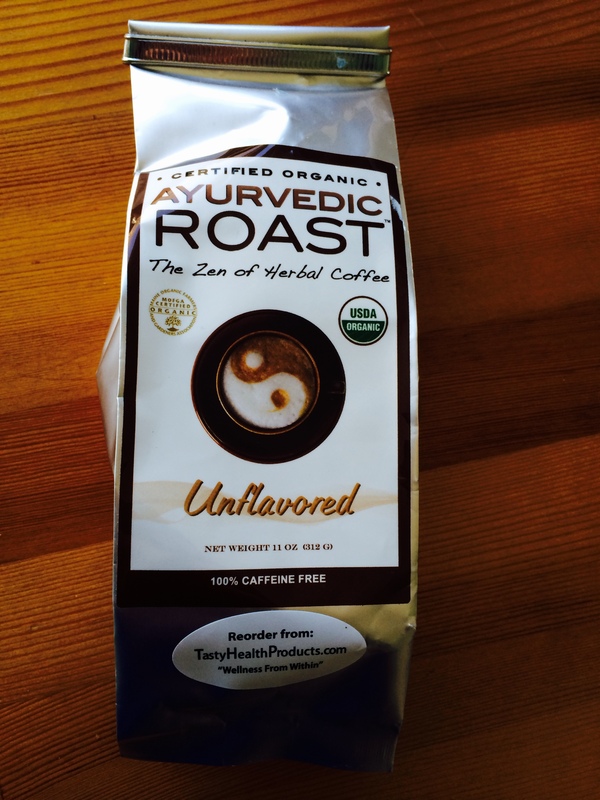 Ayurvedic Roast … by a LANDSLIDE, in my opinion. Ayurvedic Roast™ for the WIN! Basically, if you’re looking for a delicious coffee alternative, spend a few extra dollars for something that actually tastes like coffee. Nothing against Teeccino personally, but I just don’t think the taste comes even close to what I consider good tasting coffee. Maybe it got so popular because, until recently, it was the best tasting option available. Or maybe because they have more marketing manpower. I don’t know…but their stuff isn’t very delicious, if you ask me. The good news is, if you’ve tried Teeccino and actually like it, well then, your mind is going to be freaking BLOWN when you get your mitts on this Ayurvedic Roast! Seriously. Don’t just take my word for it though…order a bag or sample online and try it yourself. (You’re going to want to order the 11oz bag thought…trust me…because it’s fantastic and 1 oz sample will not be enough). More people need to find out about this Ayurvedic Roast, if you ask me. I’ve actually contacted the company and am going to see if I can help get it into some stores in my area. If you try it and love it as much as I do, you should do the same! 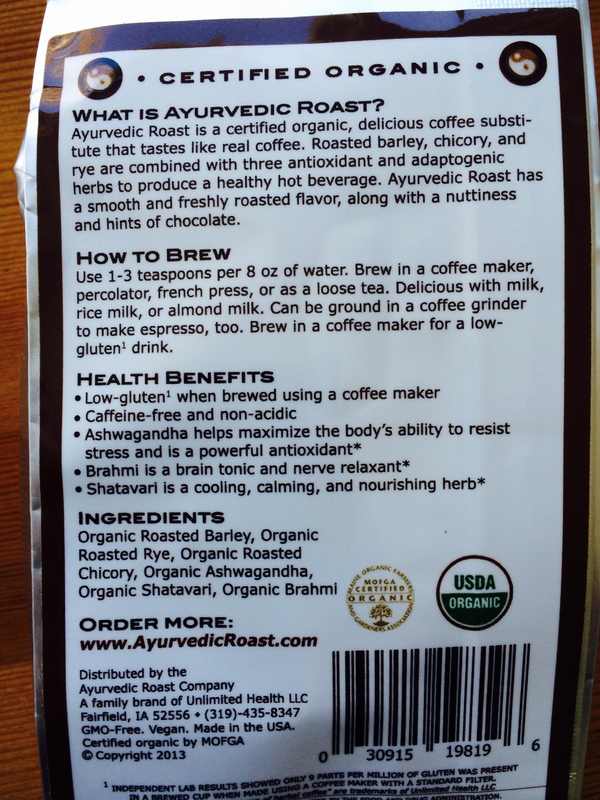 Ayurvedic Roast™ Review: I can’t believe it’s not coffee! Hi all! So in case you missed it last week, I elaborated on my absolute love of coffee yet my desire to find a caffeine free alternative that could help me cut back 0r (gasp) even quit caffeine. Well, one day…maybe…haha…but at least cut back. 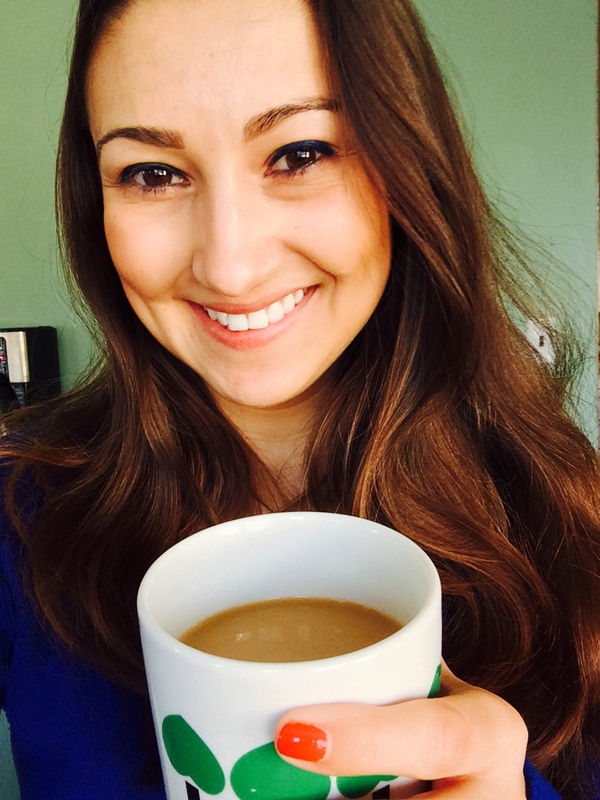 In case you missed the post in which I shared some of the negative (sigh) effects of long term caffeine consumption, check it out here. I should mention that I’ve tried Teeccino and Pero, two fairly well known coffee substitutes. While they weren’t bad, I didn’t find them comparable enough to be able to replace my beloved java. Sort of like how I feel about chai…it’s good, but it’s not coffee. So after scouring the internet for other options, I came across this brand called Ayurvedic Roast™ that had glowing reviews for tasting the most like coffee. I read that “a blind taste test was conducted comparing Ayurvedic Roast™ with the top three coffee substitutes on the market (of which I’m certain Teeccino & Pero were included). Over 200 people tasted all four herbal coffees, with Ayurvedic Roast™ being chosen as the best tasting by the highest percentage of participants.” On top of that, the stuff brews just like coffee. 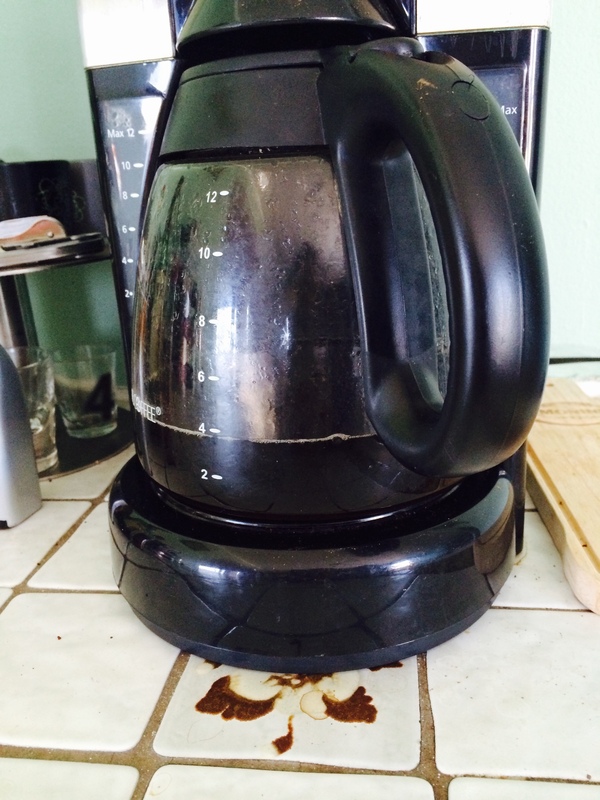 You can boil it, use a regular drip coffee maker, a coffee or tea press or espresso machine. My interest was, understandably, piqued. The info on the site was impressive. It’s 100% certified organic, GMO-free, non-acidic, vegan, and naturally caffeine free. Its unique formula is comprised of barley, rye, chicory root, and includes three antioxidant, adaptogenic, and immunity-enhancing organic ayurvedic herbs: Ashwagandha (an anti-oxidant that boosts the immune system, eases anxiety, helps regulate blood sugar, and can help lower both cholesterol cortisol levels); Shatavari (helps with mood, digestion, and fertility); and also Brahmi (which helps maintain mental clarity, increase circulation, and improve thyroid function). So I ordered a bag of the vanilla and, after talking to a gentleman at the company about my plans to review the coffee for my site, had a bag of the original flavor included for a comparison. It’s reasonably priced, and I was very eager to see if it lived up to the hype from the site and other reviews I found online…but tasting is believing. When my package arrived, I was somewhat skeptical (as any die hard coffee lover would be) but very excited. Upon opening the packages, both the vanilla and original smelled coffee-like out of the gates…the vanilla marginally more so. And the grounds looked coffee-like. So far I was pretty impressed. Look pretty coffee-like to me! 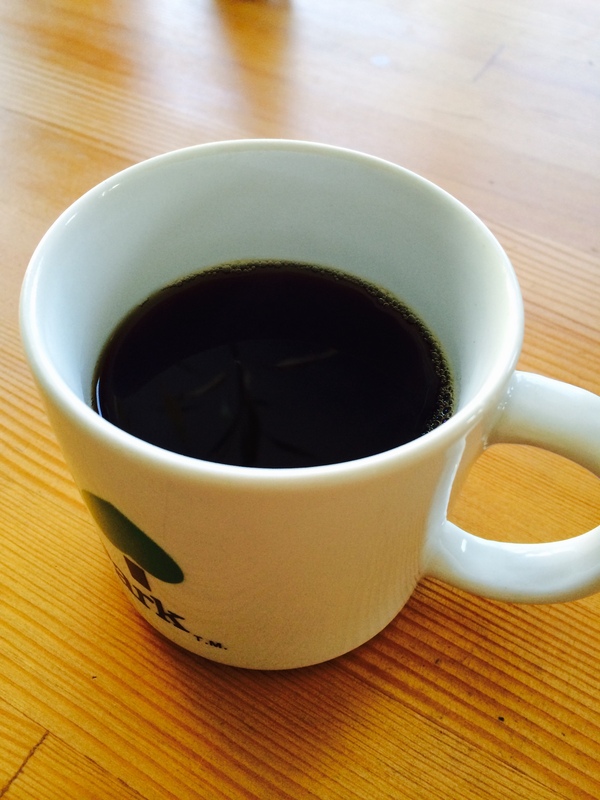 I decided to brew it as I normally would…using my drip coffee maker. 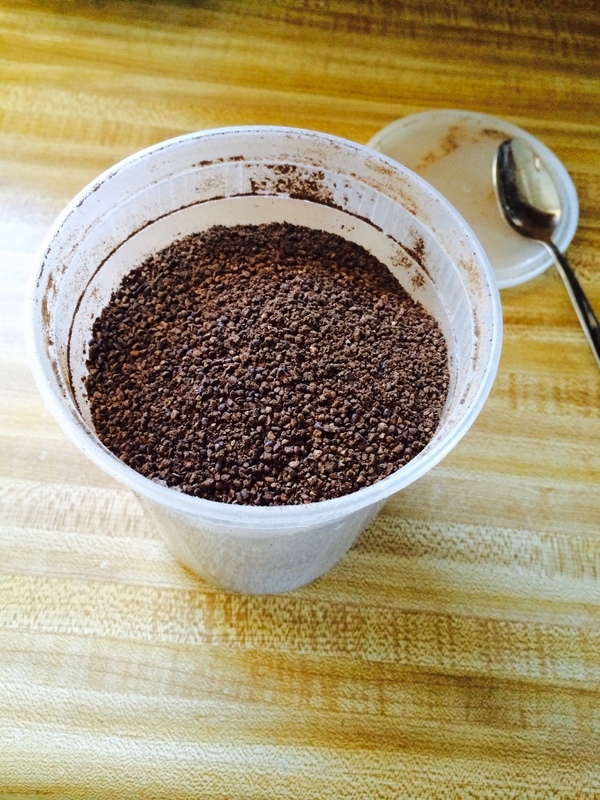 I used about 1 rounded tsp per cup, as I normally would with coffee grounds. Very impressed with the dark, coffee-like color! To the naked eye, I wouldn’t know it wasn’t coffee! As it brewed, I was very impressed with the coloring. And as I poured it into my cup and added a bit of coconut sugar and homemade almond milk creamer (the way I normally have my coffee at home), I was pleasantly surprised at how much it looked like my usual coffee! With my almond milk creamer and coconut sugar…Looks yummy!! DELICIOUS !!!!!! Wow! I was seriously blown away. Taste-wise, I prefer the vanilla (marginally) over the original, but then again, I also like flavored coffee. Either way, both taste so much like coffee that I almost wouldn’t know the difference if I hadn’t made it myself. You’re looking at a VERY satisfied customer! I can’t believe it’s not coffee! And as the day went on, I felt surprising very alert, even with no caffeine! And because I can prepare it just like I do my coffee, it feels the same as far as my morning ritual! If you’ve ever considered cutting back on caffeine, or even if you haven’t and just want to try a healthy, yummy drink, I HIGHLY recommend trying Ayurvedic Roast™. So far, it’s available only online, but I feel so excited about the product that I’m going to see if I can help get it into some stores around me.